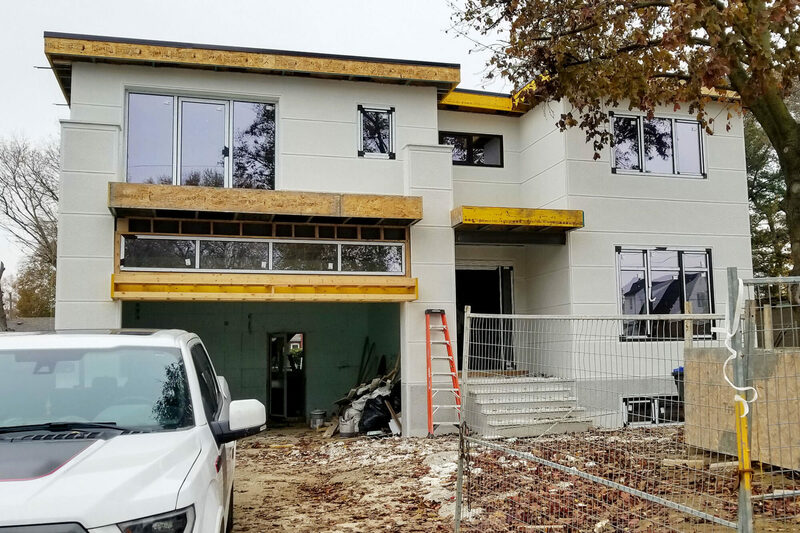 This 6,000 square foot custom home was built using Fastform ICF. 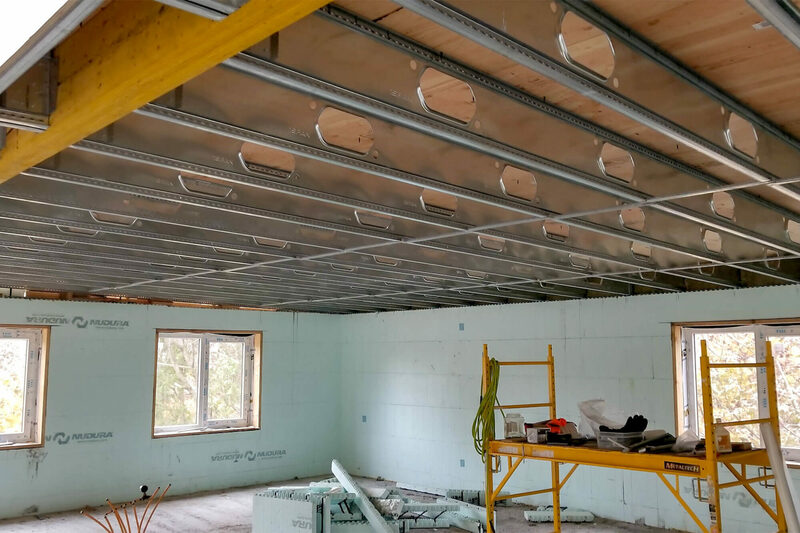 With 2,000 square feet per level, the main floor and second floor integrated Composite TotalJoist and the roof integrated TotalJoist. The design intent was to create modern looking home with an efficient design. 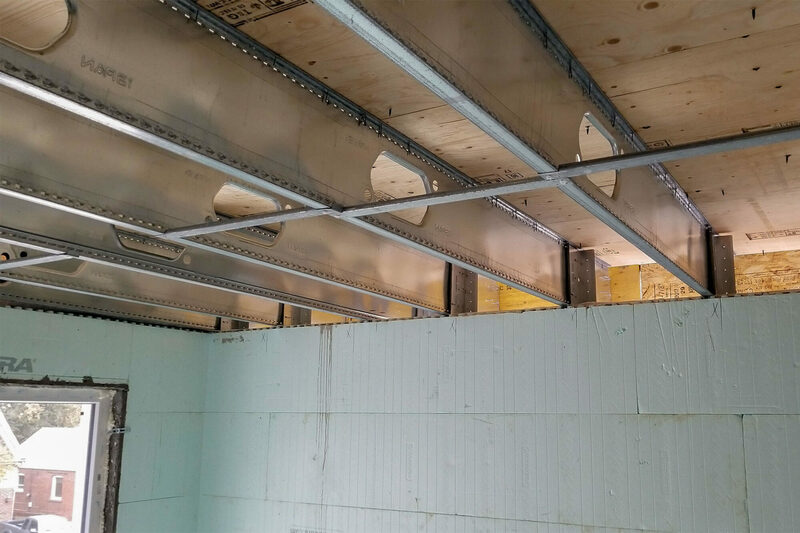 The owner wanted to have ICF walls supported by floor so iSPAN created custom detailing where ICF wall acted as the beam. No conventional wood framing was used for structural walls. The owner wanted rigidity of concrete floors, but with hydronic in-floor heating. However they also wanted overhangs on the roof areas, which was accomplished using TotalJoist. Half Composite TotalJoists provided top-chord bearing and overhang on the second level. Sloped topping/thermal breaks at exterior walls were used, stepping onto exterior porch. Stair opening girders were used to eliminate structural steel where possible and the an efficient roof design was achieved using LVL to eliminate all structural steel at the roof level.